All Bloomington homes currently listed for sale in Bloomington as of 04/26/2019 are shown below. You can change the search criteria at any time by pressing the 'Change Search' button below. If you have any questions or you would like more information about any Bloomington homes for sale or other Bloomington real estate, please contact us and one of our knowledgeable Bloomington REALTORS® would be pleased to assist you. "3 Bedroom 1.3/4 bath house sitting on i.22 acres of land. 4,000 square foot covered metal building. Horse stables lots of fruit tress, Perfect for owner user construction yard or similar type of business. Perfect for future warehouse. Curb and gutter already in. New warehouses across the street. Possible zone change. 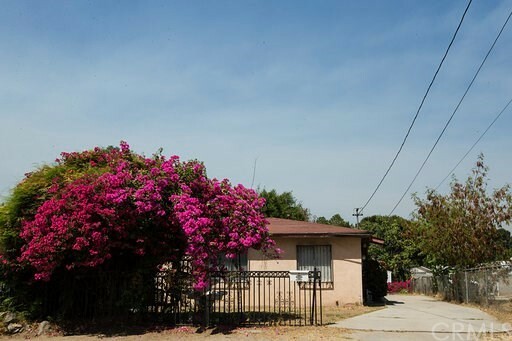 All potential buyers to check with County Of San Bernardino Land Services Department. Building And Planning." "HORSE PROPERTY !! Beautiful 4 bedroom plus a bonus room, single story home with over a half acre lot. 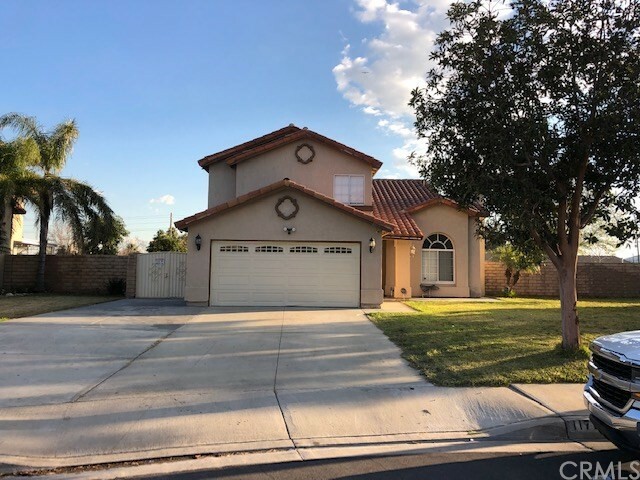 This home has tile throughout the home, upgraded kitchen with granite and stainless steel appliances,so many fruit trees for example, lemons, blood oranges, avocados, etc.There are 3 storage sheds that come with the home. The two car garage has been converted to a bonus room. However, can be returned back to a garage. 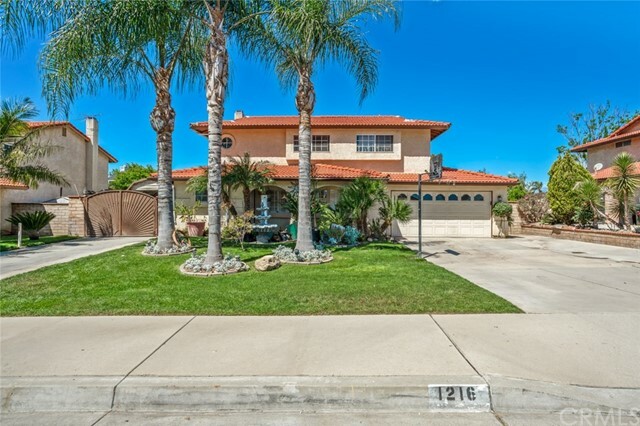 This home is very close to the freeway and shopping. There is RV parking, There is a wrap around patio with beautiful flowers and roses, This is a great home for parties and family gatherings. There is a cozy fireplace and beautiful french doors going into the family room and bedroom. There is no HOA and very low taxes." "4 Bed. + 2 Bath. 2,078 square foot house on 7,173 square foot lot. Large kitchen with walk-in pantry. Dining area off kitchen. Separate living room. Family room with fireplace. Large master bedroom with walk-in closet. Newer Pergot flooring throughout. 10 Foot ceiling makes house feel more spacious. Built in 2007 so there's insulation in walls as well as the attic. Has dual pane windows. Covered patio. Tile roof. Entire yard has been covered with decorative rocks so you won't have to water grass or cut it. Fresh paint. Private setting. Currently no neighbor on one side means even more privacy. 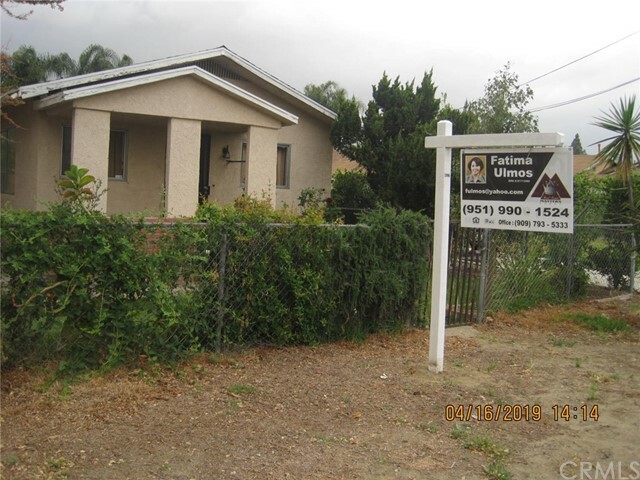 House is north of 10 freeway and near Fontana city limits. 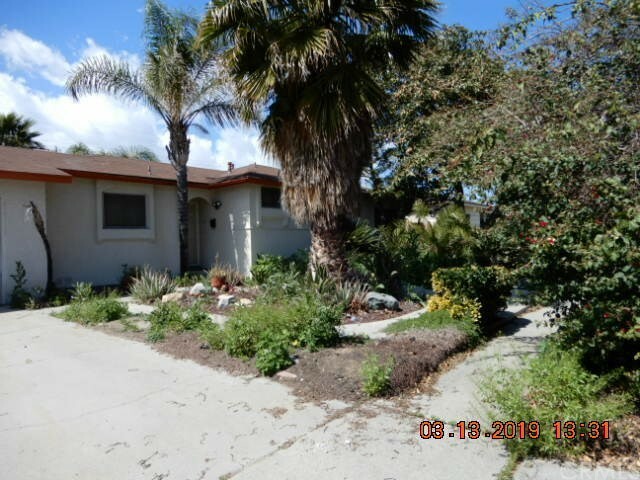 Close to shopping, restaurants, freeways, and Kaiser Hospital." 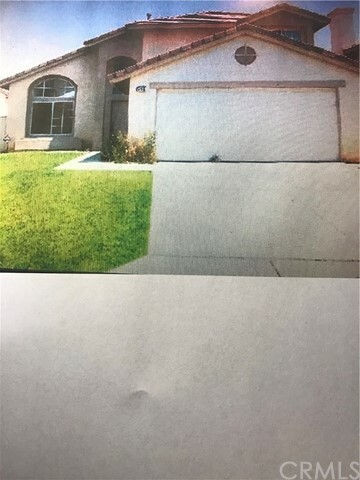 "Please submit and complete the following: Offer Submission Sheet; Revised and Fully completed CAR's Offer Form; Current and Direct Lender Loan pre-Approval with FICO scores; Current proof of down Payment/Closing costs; Intro Letter by Buyer(s) with copy of Check; EMD confirmation....etc. All services rights are reserved by the seller. Your interest is greatly appreciated :)"
"Is Very Clean house in nice quite area and close to everything School, shopping, clinic, city park, fwy, you can't miss out, House with RV park and large space for kid's to play, big back yard, sun room attached to house, concrete slap at the back of the house for extra space for party, Home is ready for buyer to move in with out spending any money to fix or upgrading, Now the house is 4 Bedroom, 2.5 Bathroom , 2 car garage, new Kitchen and granite counter tub, ceramic tile, living room family room dining room, I think nothing is missing in this beautiful house,"
"EXCELLENT HOME FOR YOUR FIRST TIME HOME BUYERS!! 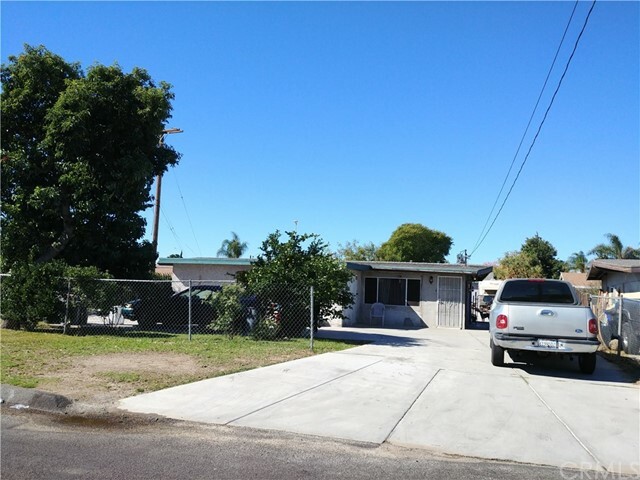 THIS PROPERTY HAS: 1,914 s/f OF LEGAL LIVABLE SPACE. 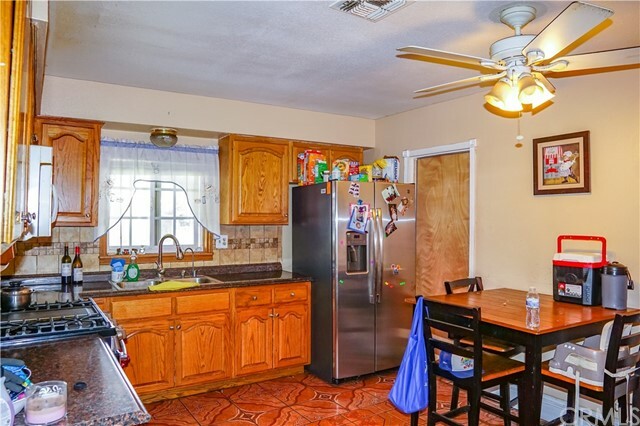 THIS HOUSE HAS UPDATED GRANITE COUNTER TOPS AND NEWER KITCHEN CABINETS. MOREOVER, FOUR GREAT SIZED BEDROOMS AND TWO BATHROOMS!! PLUS A SEPARATE BONUS ROOM AND AN EXTRA BATHROOM! BUYER (S) TO SATISFY WITH CITY OF BLOOMINGTON FOR THE EXTRA BONUS ROOM & BATHROOM! THIS PROPERTY IS IDEAL FOR LARGE FAMILIES LOOKING FOR MORE SPACE!! THIS HOME MAY GO STANDARD FHA. 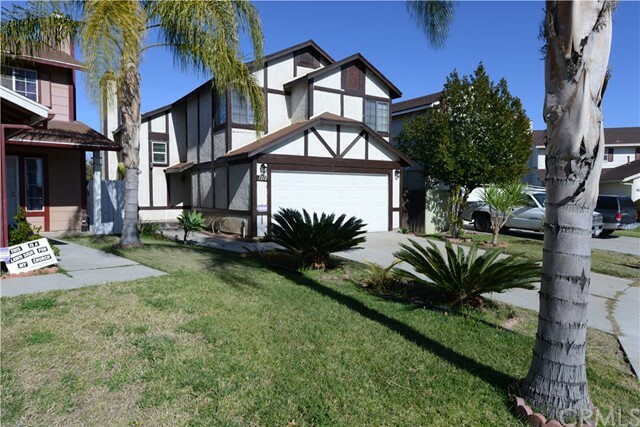 THIS HOME IS WELL CENTRALLY LOCATED WITH EASY FWY ACCESS!!" "You will love this home! Located in the beautiful community of Bloomington, it is secluded yet everything you will need and want is nearby. The tile entryway leads to a spacious dining room. The large open living room opens to an oversize kitchen. There are 3 three large bedrooms and 3 bathrooms. An outside patio welcomes you to the large back yard, perfect for entertaining, surrounded by block wall fencing. It is waiting for you just in time for Summer!" "Awesome curb appeal! Come see this TURNKEY two-story home located in a desirable area of Bloomington. Home features a large open floor plan, tiled flooring throughout downstairs, and plantation shutters. A spacious living room and formal dining room makes this an ideal area for family gatherings. Kitchen is bright and open and boasts granite countertops, stainless-steel appliances, and breakfast nook area. As you leave the kitchen you enter the Family Room with a cozy fireplace, a perfect area to enjoy during those winter months and holidays. A laundry area is conveniently located inside. As you walk up the laminate flooring staircase you will find that flooring continues throughout second floor and bedrooms. On the 2nd floor you will find the master bedroom featuring a spacious bathroom with dual sinks. There are additional 3 good size Bedrooms. The backyard is a PERFECT space for entertainment with a large covered patio, block walls and planters, and fruit trees (peach, limes, orange and avocado). Home also features a 2-car garage with additional slab on side of garage and an RV Driveway, making it the ideal place to park a boat or RV." "PRICE DROP! 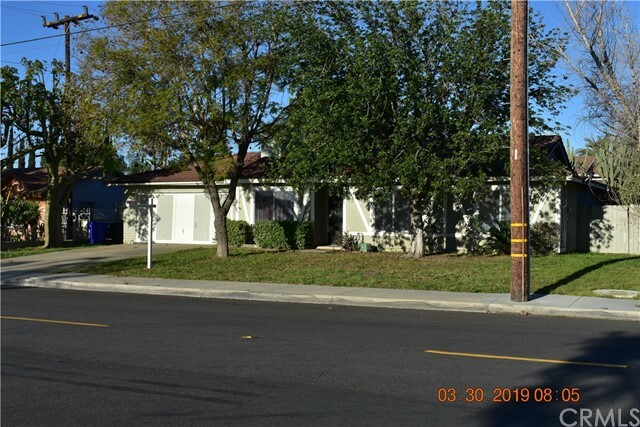 MULTI-FAMILY home located in a nice, quiet area minutes from the 10 freeway for commuters. This 3 bedroom 1 bath home has a 1 car garage, and a 1 bedroom 1 bath apartment with private kitchen & bathroom for mother-in-laws quarters. The home has lots of fruit trees, avocado tree, lemon and much more. The yard is well maintained with beautiful curb appeal and freshly painted front latice porch, and covered back patio. The entire front/back yard is on a automatic drip system. There are many upgrades the family has done to this home. Association Amenities: None # of RV Spaces: 0 Special Features: ,SHNONE Lot Location Type: Standard Location Landscaping: Sprinklers Special Features: Garage Door Opener # of Attached Spaces: 1 # of Detached Spaces: 0"
"Excellent opportunity for a first time buyer, Property located close to services, walking distance to elementary school, Property features 3 bedrooms and 2 bathrooms"
"Here is a very spacious home waiting for you. 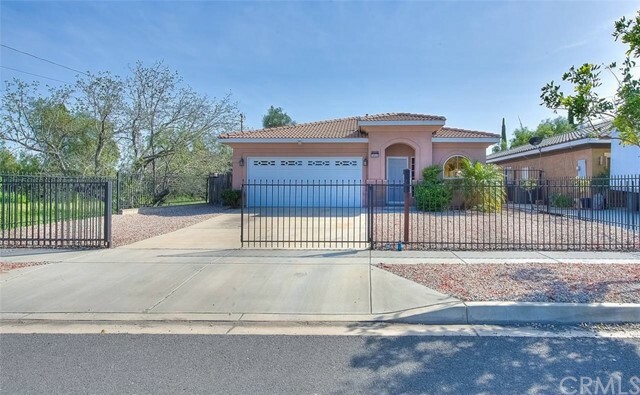 This home features 3 Bedrooms and 2 baths. this home is perfect for fist time buyers." 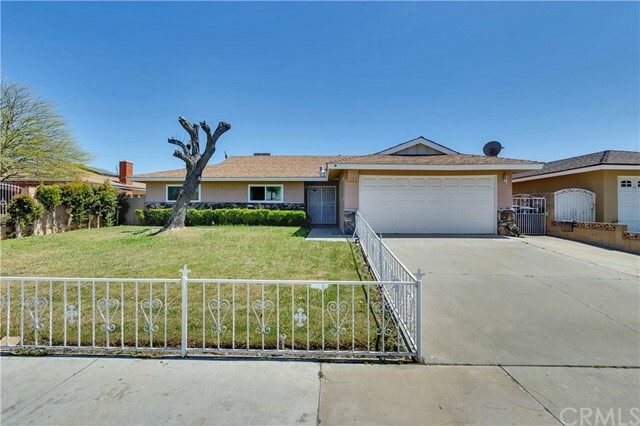 "This charming 2 story home will make a great home for a first time home buyer. It has an open and spacious floor plan with lower landing consisting of a living room, dining area, kitchen, 1/2 bath and enclosed patio. Living room is spacious with vaulted ceilings, brick surround fireplace and tile flooring. Kitchen with new counter tops, tile flooring and eating area. Upper landing consists of three spacious bedrooms, including main suite, and 2 bathrooms with main suite bathroom and hallway bathroom. Other amenities are 2 car attached garage, 3 spacious bedrooms, enclosed patio and fully fenced backyard. 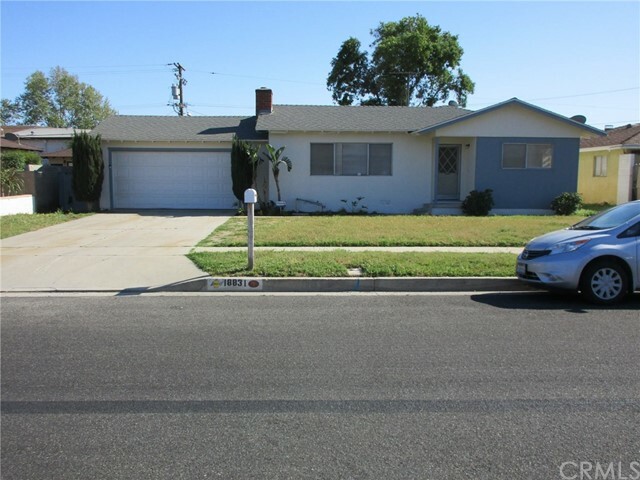 Close to all amenities, schools, shops, and freeways." "BLOOMINGTON, 3 BDR, 1 3/4 BATH, GAS STOVE TOP, OVEN, D/W, C/A, FIREPLACE, 2 CAR GARAGE, LAUNDRY HOOK UPS IN GARAGE, PATIO, ON SEPTIC, NEW INTERIOR PAINT, NEW CARPET IN LIVING ROOM"
"Back on the market from being on hold!!! One story home with two bedrooms along with a master retreat, one and a half bathrooms, and a pool! The home has the original wooden kitchen cabinets, wooden doors and wooden closet doors that give the home its natural charm. There is a utility room next to the laundry near the kitchen, living room and step down family room. Fruit trees in the backyard, shed on the side yard with covered patio in the back. Come and check out this home!" 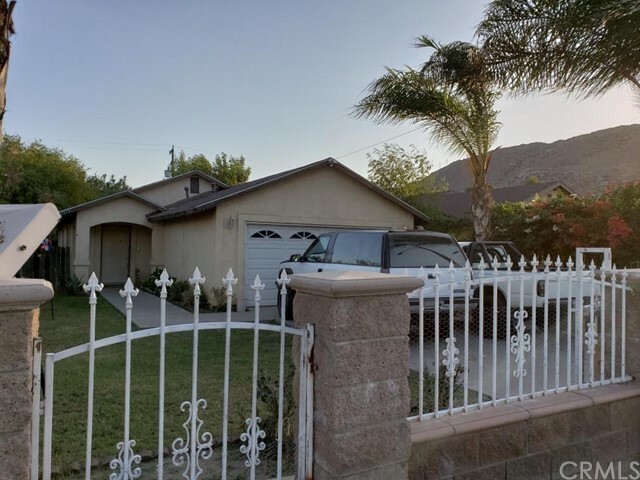 "SEE REMARKS THAT THIS IS AN AUCTION PROPERTY - ONE STORY FAMILY HOME ON SPACIOUS LOT FEATURES 3 BEDROOM AND 2 BATH. THERE IS A TWO CAR GARAGE AND COVERED PATIO." 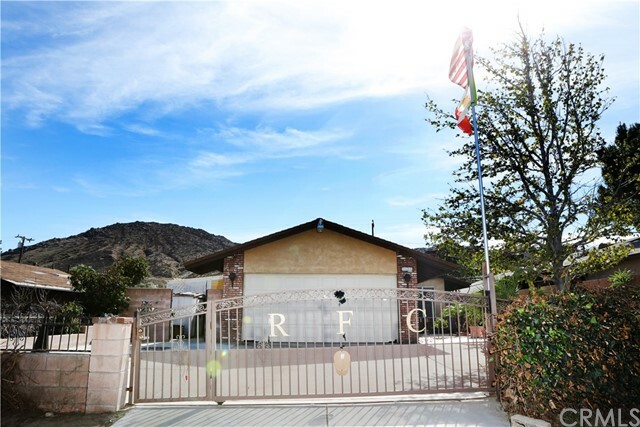 "This property is located close to the 91 freeway access, school and shopping center. Huge lot for your buyer's imagination." "Looking for a move in ready property in an up and coming area of Bloomington? Well stop looking and come see what this quaint abode has to offer. 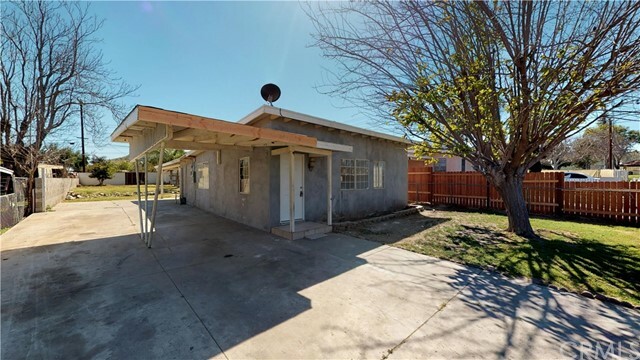 Located off the I-10 freeway and within walking distance to Joe Baca Middle School, Bloomington s newest and highly rated public school you ll find this renovated 3 bedroom 2 bath home. The home features wood flooring, a fireplace in the living room, laundry area, and an updated kitchen. 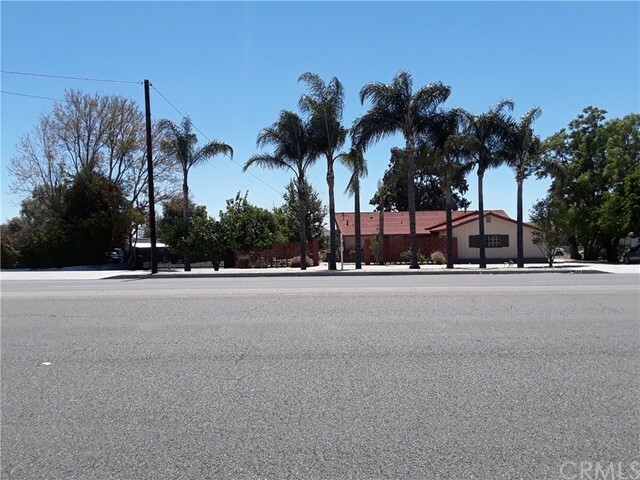 The bedrooms are all of great size as are the bathrooms.This gem of a property is also within a short drive of the new Renaissance Marketplace Shopping Center in Rialto bringing an array of new shops, theaters, and dining experiences. So come check out this property, it won t last long." "Seller will reply within 48 hrs. 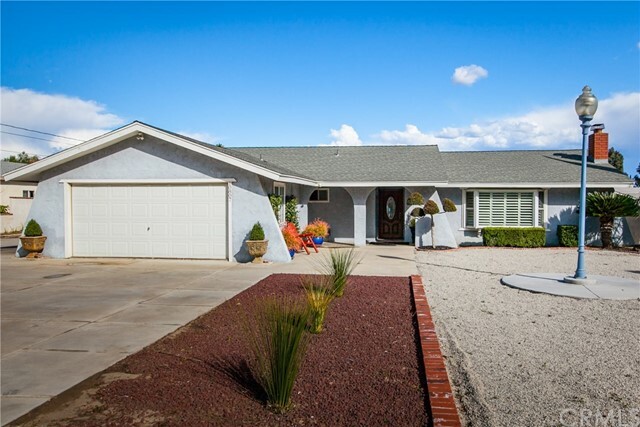 Enjoy this newly remodeled 3 bedrooms 1 bath open floor plan home that faces the gorgeous Bloomington Hills. This home has central heating, all the new upgrades any homeowner would LOVE!!! 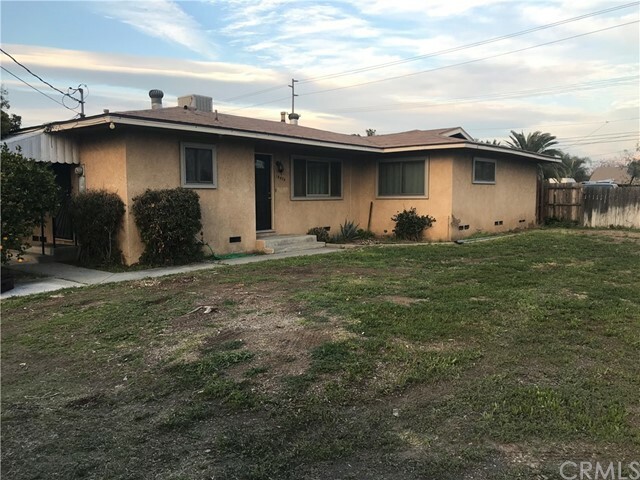 NEW Roof, NEW exterior and interior paint, NEW kitchen, NEWLY remodeled bathrooms, NEW plumbing fixtures, NEW electrical fixtures, NEW tile floors, NEW laminate flooring throughout the home, NEW doors, and NEW hardware. BUT that's not all this home also has RV/Trailer parking!! Which comes along with its massive NEWLY paved backyard and side entrance. View this beautiful house today & speak with a representative to make this house your home..."
"This single family home is nicely located near shopping, restaurants , freeways, convenient stores, supermarkets, schools and etc, etc... this home features a nice size yard with variety of fruit trees like Peach, guava, lime and a very delicious tropical fruit call guamuchil. The yard has a wide driveway enough for RV." "BUYER NOT ABLE TO PERFORM -BACK ON MARKET Well taken care of home in the City of Bloomington. House features 3 bedrooms 2 baths . 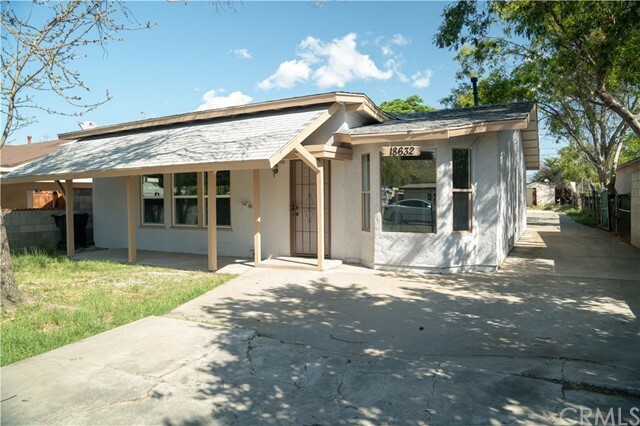 Home has been updated with granite countertops in kitchen , laminate flooring throughout the home . Very nice and clean come check it out !" "Cozy house. Recently rehabbed. Tile flooring, 2 bedrooms 2 baths and a bonus room in the back. Huge flat lot offers room for expansion or a pool. New kitchen cabinets, stone counter top. Iron fence in the front. New Bathroom features. Back Addition permitted could be used as a third bedroom or family room, office. Endless possibilities." "VERY NICE MOBILE HOME PARK IN BLOOMINGTON . WILL BE CLEANED AND CARPET SHAMPOOED TO IMPRESS THE BUYERS. SHARP TILE IN LIVING AREA AND KITCHEN. IT IS PRICED TO SELL. YOUR BUYER WILL NOT BE DISAPPOINTED. TWO FULL BATHROOMS WHICH ALWAYS IS A GREAT BENEFIT TO A FAMILY. EVERYTHING IS NEAR THIS MOBILE HOME PARK. SHOPPING CENTERS ,HOSPITAL ,SCHOOLS FIVE MINUTES AWAY FROM 10 FREEWAY." "PRICE TO SELL!!!!! 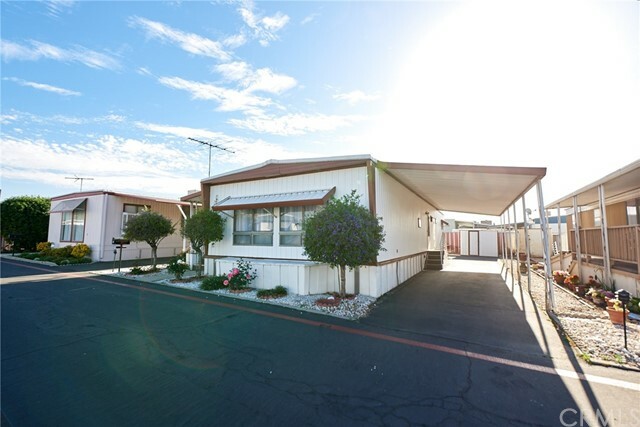 Welcome to this spacious single wide 3 bedrooms 2 baths Mobile Home . 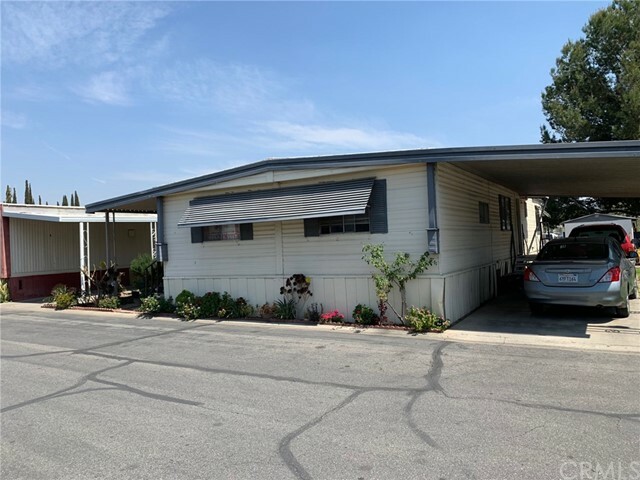 Located in a well maintain 55 and older community in the city of Bloomington border line Fontana Located less than a mile from Kaiser Hospital . Park includes a community pool and and recreational facilities. Mobile Home is move in ready !!!"